Removable sliders and grippers allow for easy customization. Offers athletic styling with superior performance. withoutPlease ask us! 3/16" (4,7mm)Please ask us! 1/4" (6,4mm)Please ask us! Removable sliders and grippers allow for easy customization. BP500 Series offers athletic styling with superior performance. Toe coating is for right handed players. Left handed players are kindly asked to contact us if they want toe coating. For the anti-slider your can choose between the classic pullon gripper or the podsystem that BalancePlus designed especially for the Series 500. 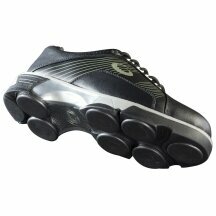 Most of the classic grippers fit this shoe. Our customers prefer either the Tournament Gripper or -a little bit more expensive- the BalancePlus Gripper. The Tournament Gripper can be used for both sides. BalancePlus offers a special BalancePlus Gripper right or -for the very stylish ones among you- BalancePlus Gripper pink. 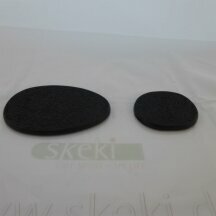 Classic anti-slider or BalancePlus gripper pods? Pods have less weight and are easier to carry and -let's be honest- are somehow cooler. Classic grippers are easier to put on and one is used to them. Can you name additional Pros or Cons? Code*: What results in 7 plus 8?